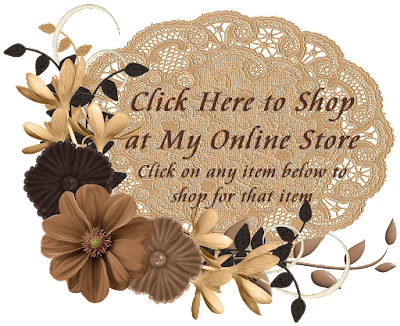 I was able to order some products from the Occasions Catalog and Sale-A-Bration brochure when I was at On Stage, but I haven't been able to make anything with them. I actually didn't buy the stamp set I used, Humming Around Stamp Set. 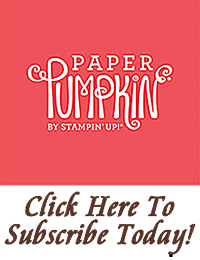 It was one of the stamp sets that Stampin' Up! gave us FREE at On Stage. 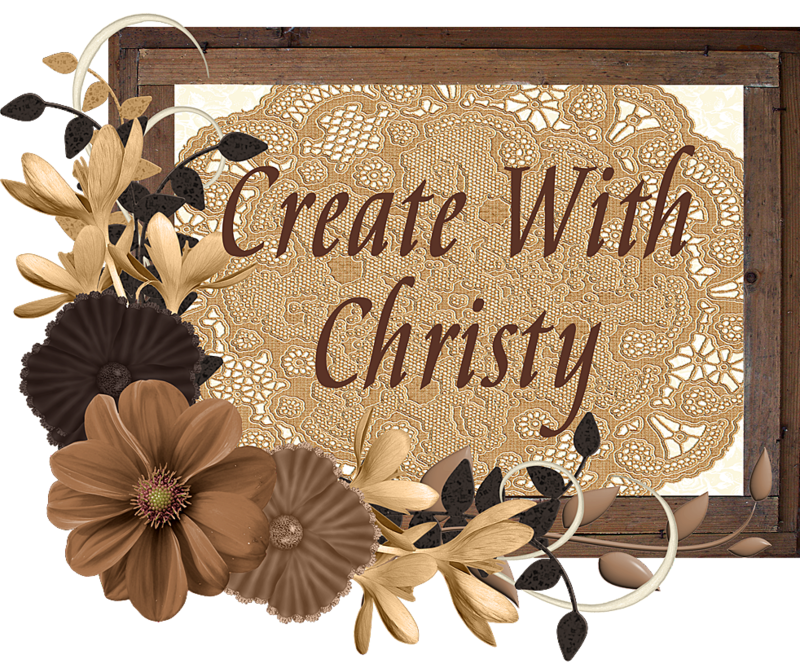 There is a die-set that coordinates with this beautiful set, and I just ordered it during the preorder for all demonstrators last Wednesday. 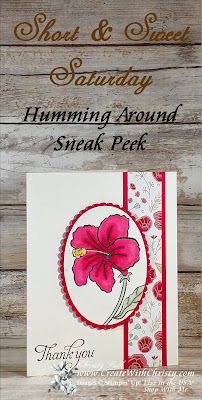 It will be here on Tuesday, but I didn't want to wait that long to use this beautiful flower stamp! The designer paper is called All My Love Designer Series Paper, and it was one of the things I was able to purchase last month at On Stage. All My Love Designer Series Paper (DSP): 1" x 5-1/2"
Fold the Thick Whisper White piece in half (fold on the left) to form the card base. I suggest scoring the piece at 4-1/4" (with an 8-1/2" side along the top) before folding. The thick cardstock folds much easier this way. Attach the DSP piece along the middle of the Lovely Lipstick DSP mat piece. Attach it along the right side of the card. Stamp the "Thank You" stamp from the Humming Around Stamp Set onto the bottom, left corner of the piece using the Tuxedo Black Memento Pad. Stamp the flower stamp onto the regular Whisper White piece using the Memento Pad. Color along the area of the flower that should be darker with with the Dark Lovely Lipstick marker from the Lovely Lipstick Stampin' Blends Combo (see picture). Color all of the petals and base of the flower with the Light Lovely Lipstick marker, coloring over the dark areas to blend the shades together. 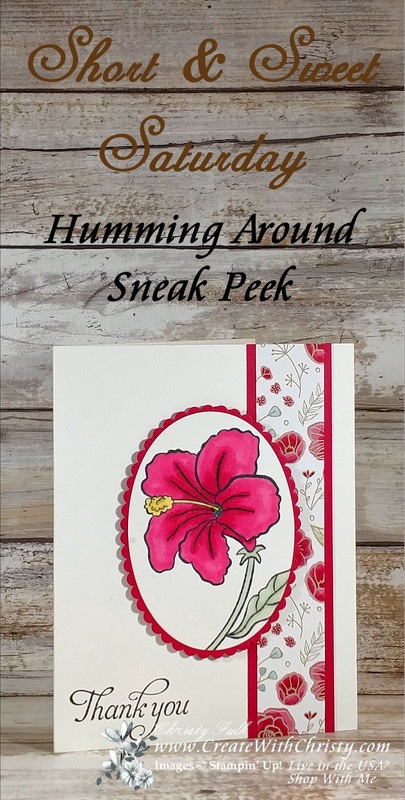 Color along the veins of the leaf with the Dark Soft Sea Foam marker from the Soft Sea Foam Stampin' Blends Combo. Color the entire leaf and the stem with the Light Soft Sea Foam marker, coloring over the dark areas to blend the shades together. After a few minutes, if the stem and leaf are too light, color over them the same way again to get more color. 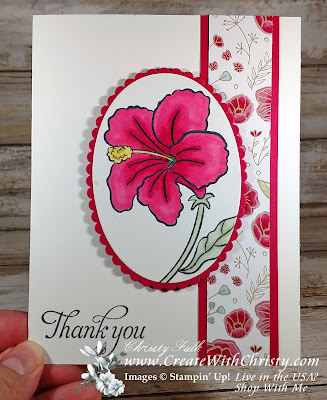 Color along the scallop-like marks in the stamen of the flower with the Dark Daffodil Delight marker from the Daffodil Delight Stampin' Blends Combo. Color the entire stamen with the Light Daffodil Delight marker until the shades are blended. Die-cut the flower out with the second, largest oval die from the Layering Ovals Framelits Dies. Die-cut a scallop oval out of the last Lovely Lipstick piece using the largest scallop oval die. 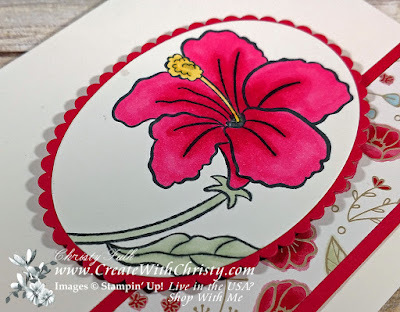 Attach the flower oval to the center of the scallop oval, and then attach it to the center of the card using Stampin' Dimensionals. 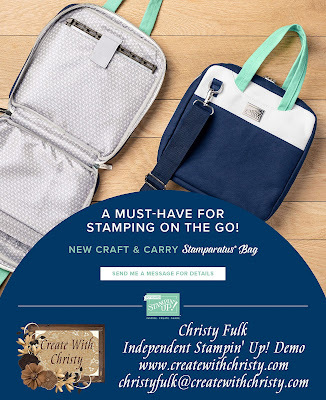 The Humming Around Stamp Set is not in the Online Store yet, so it's not in the supplies list below. It will be added once it is in January, 2019. 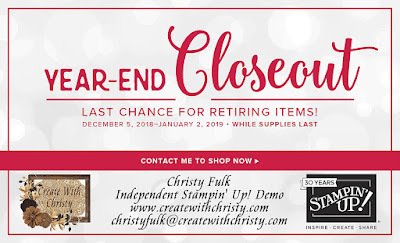 The All My Love DSP in the supplies list isn't available to be purchased until January 3, 2019, too. 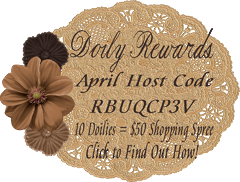 The December Host Code Ends on December 31, 2018. A New One Comes Out the 1st of Every Month. Click the Picture Above To Find Out More!